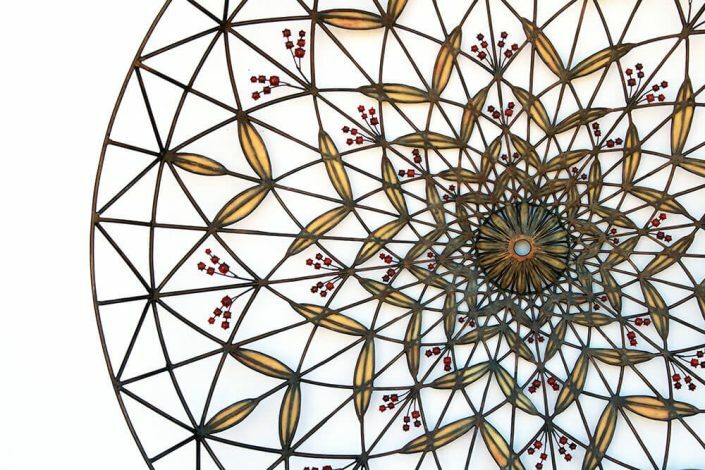 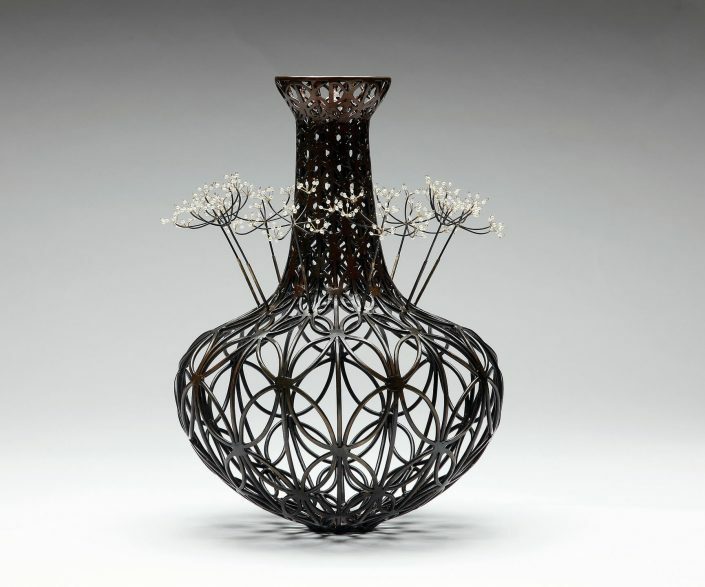 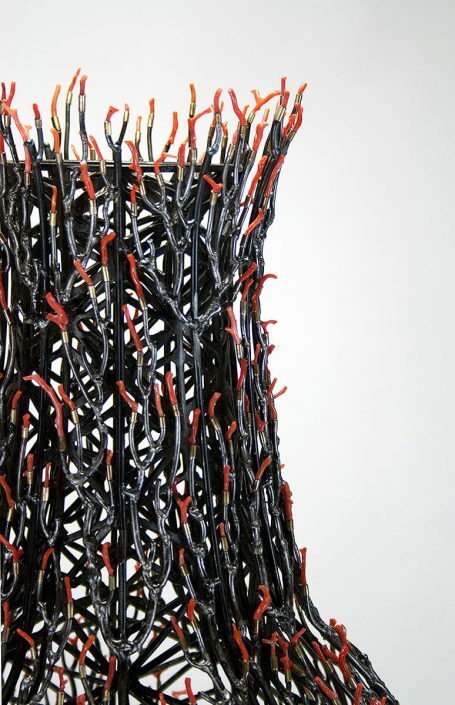 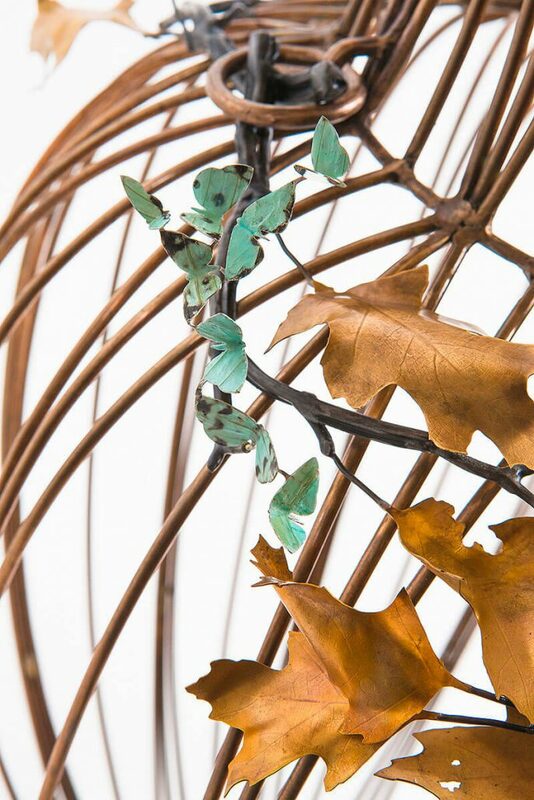 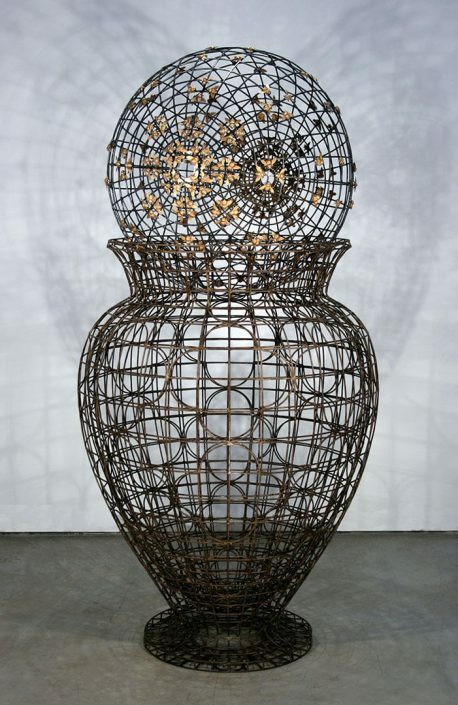 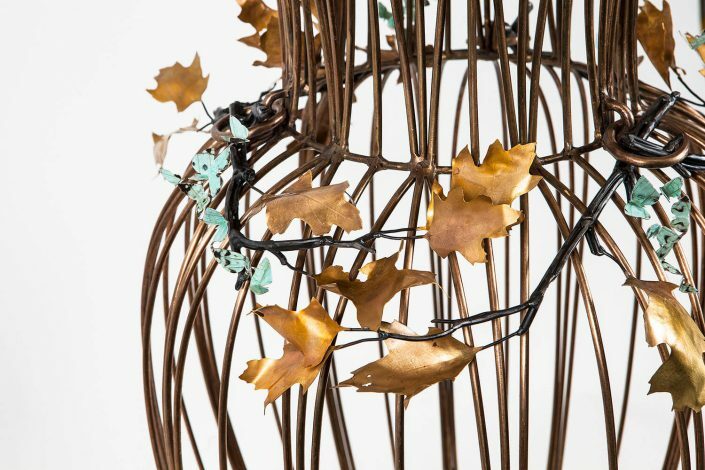 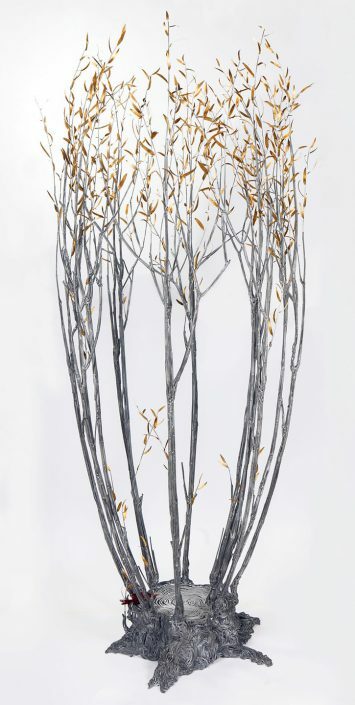 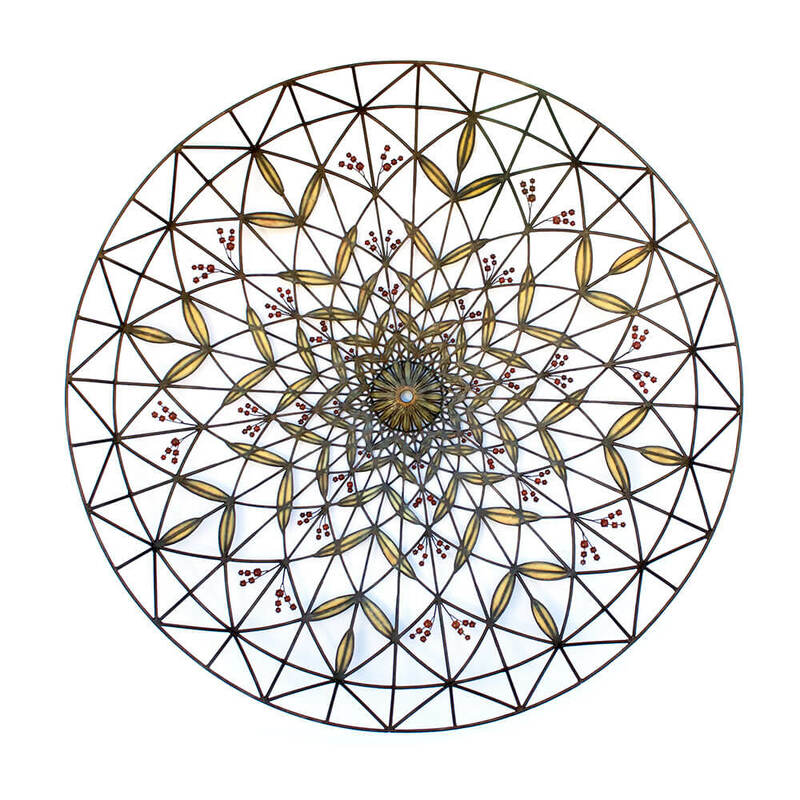 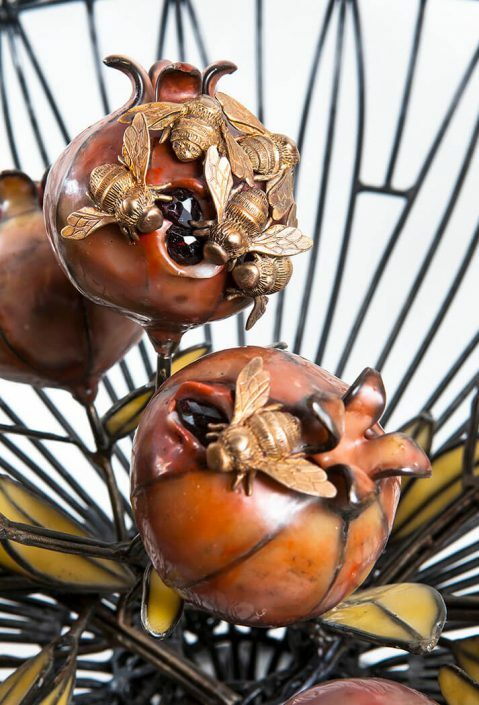 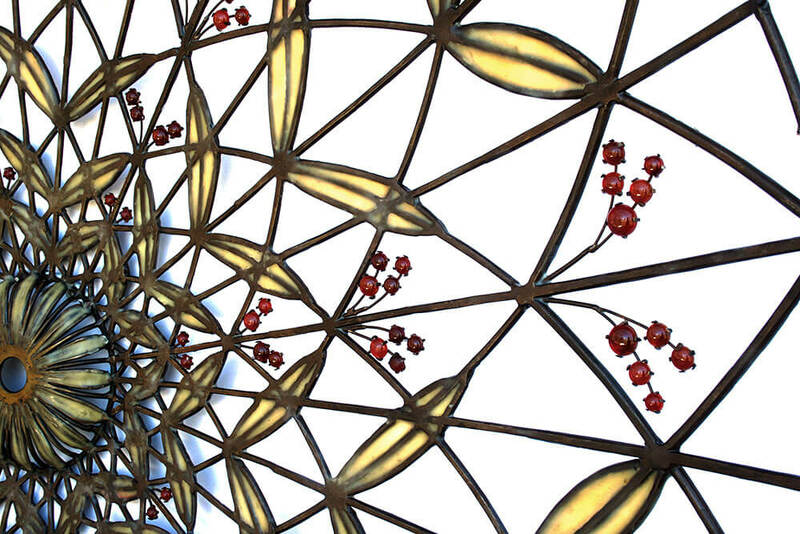 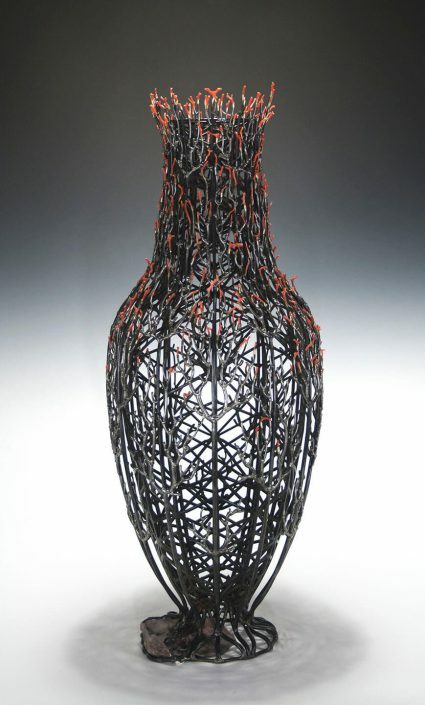 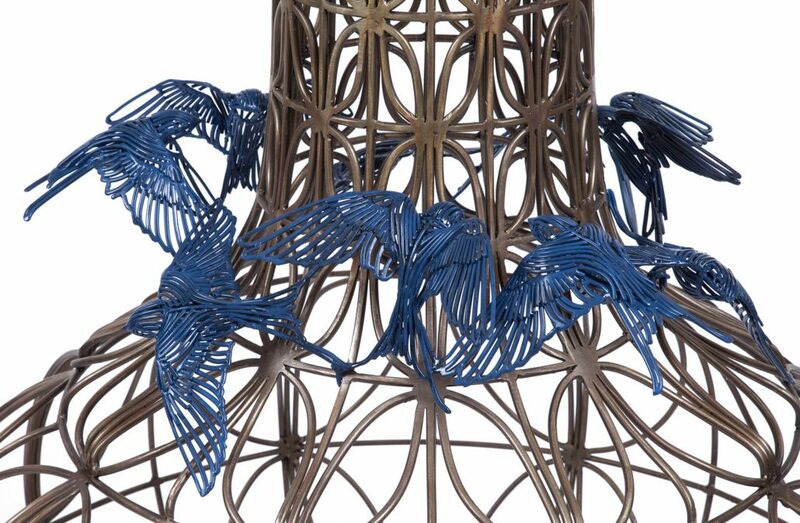 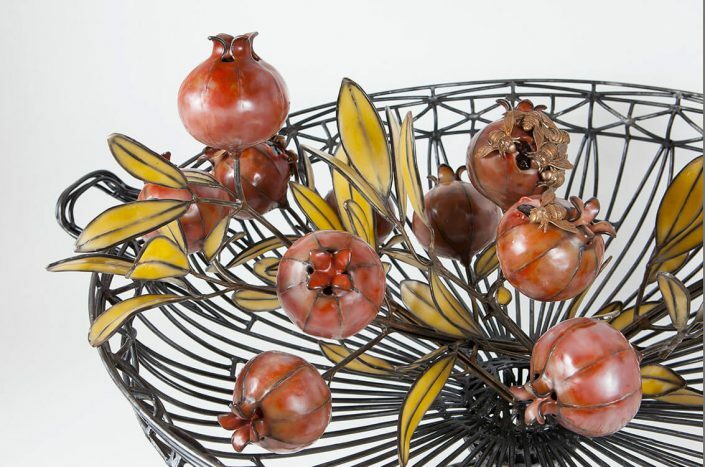 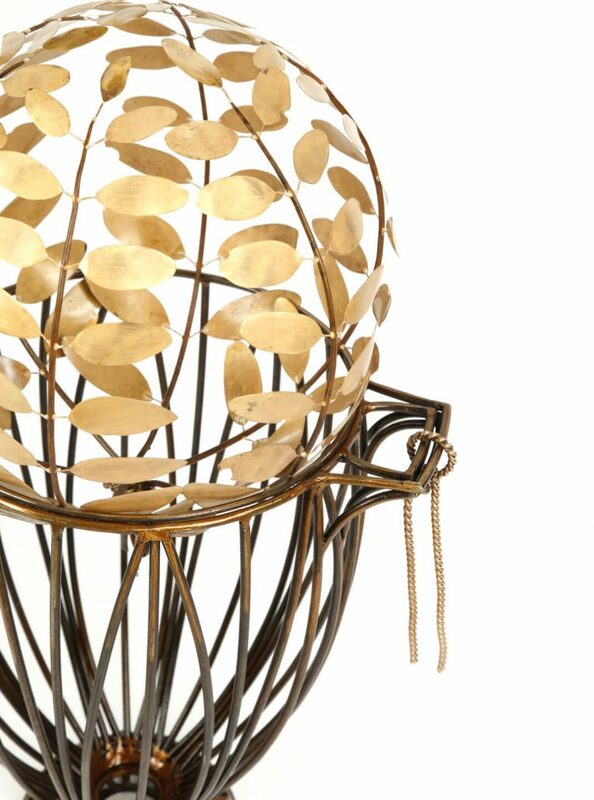 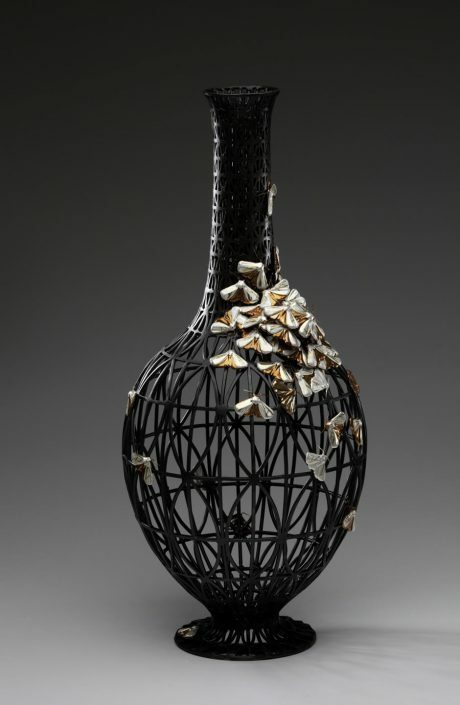 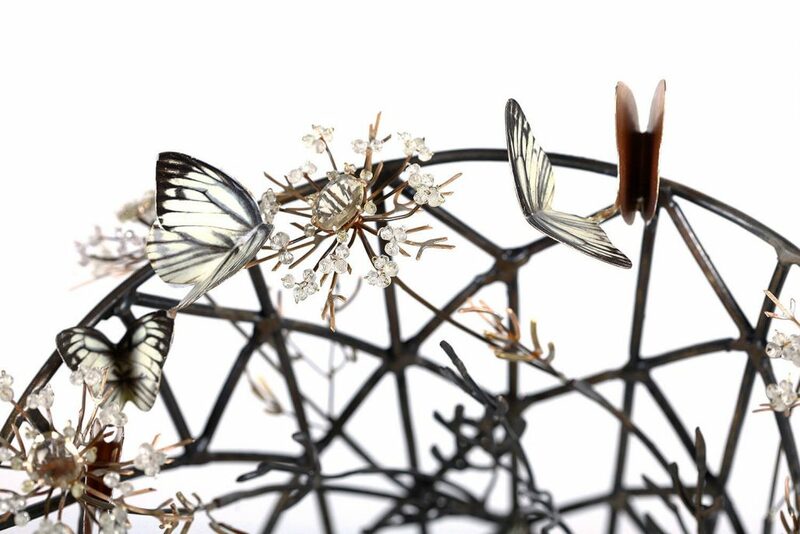 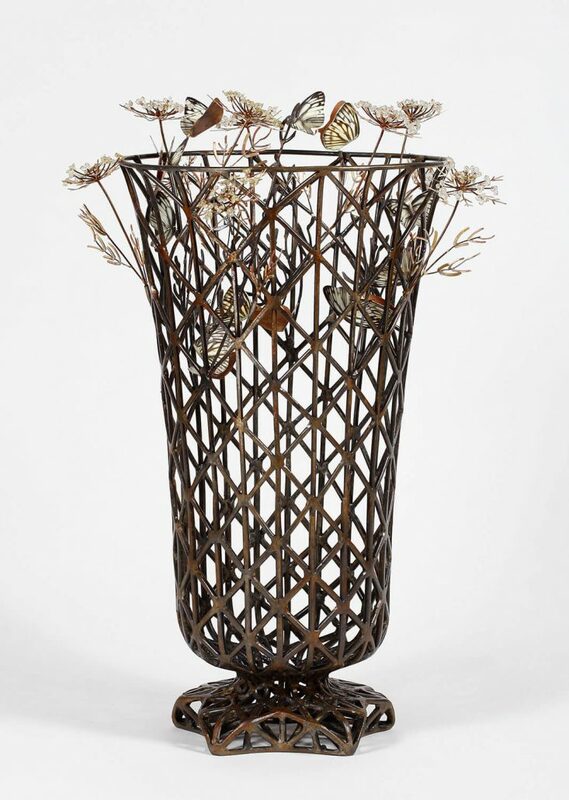 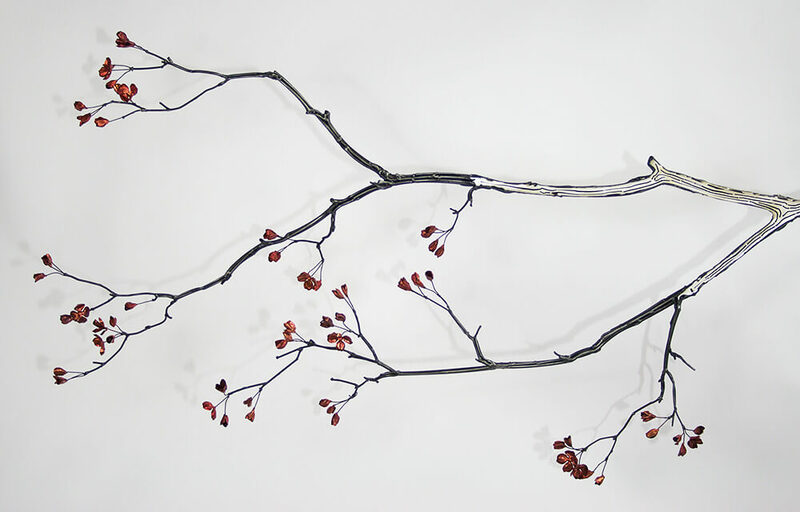 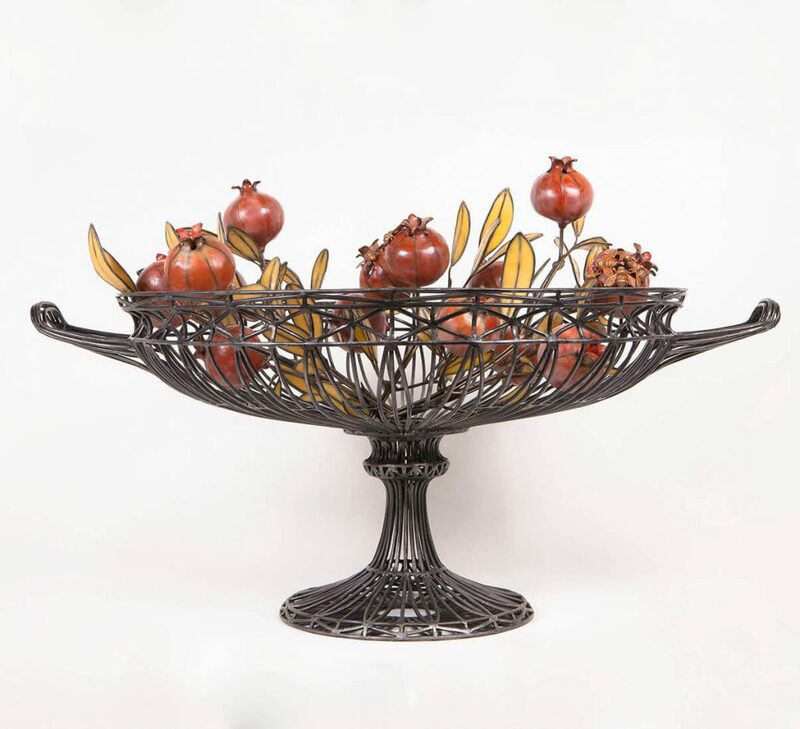 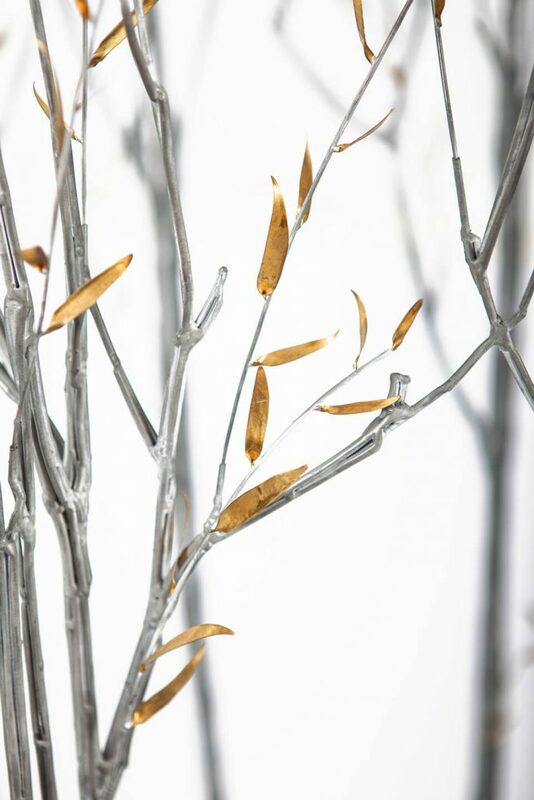 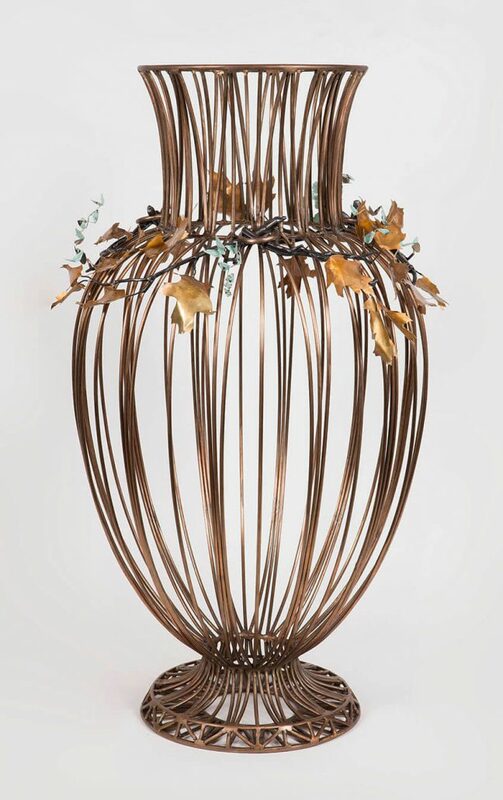 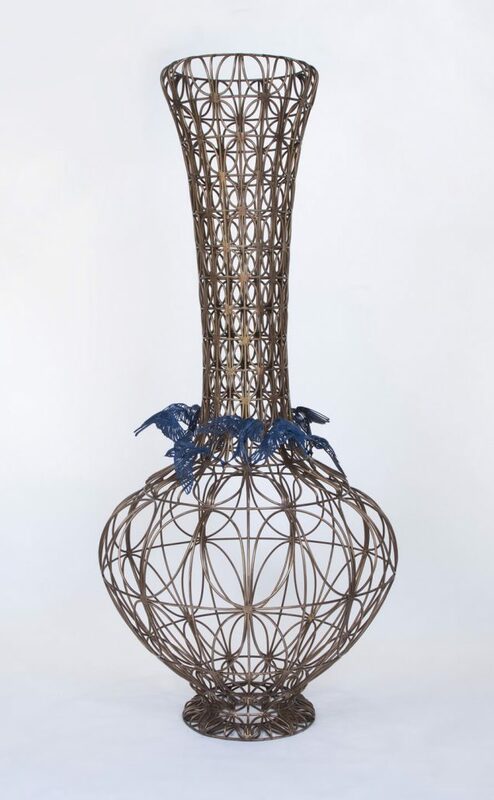 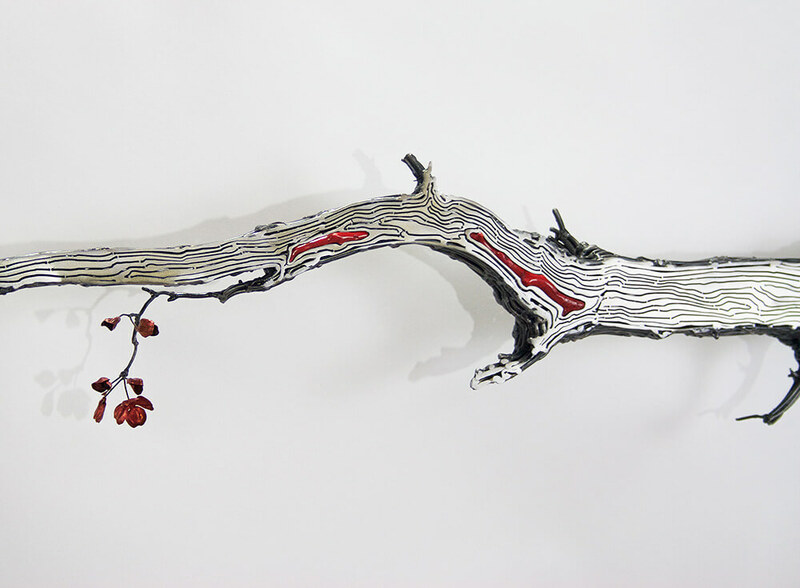 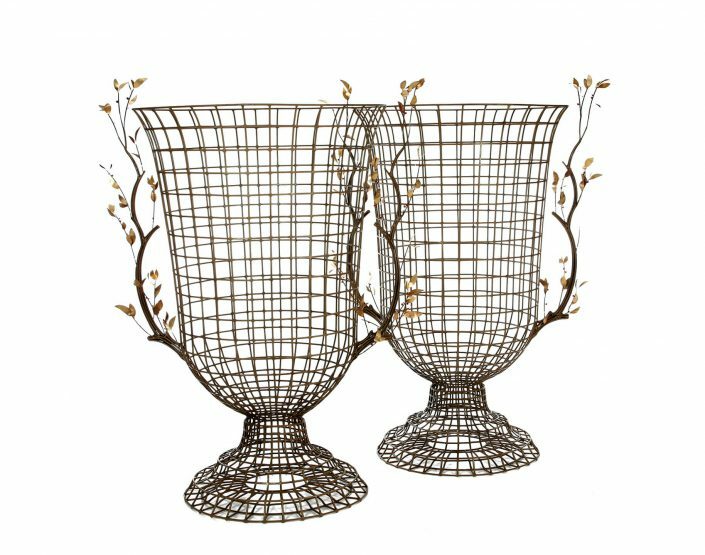 Kim Cridler’s sculptures describe branches and man-made vessels with flourishes of startling natural ornamentation. 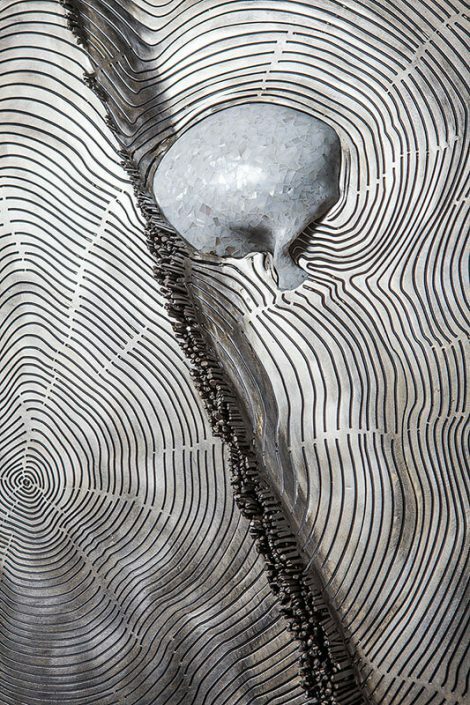 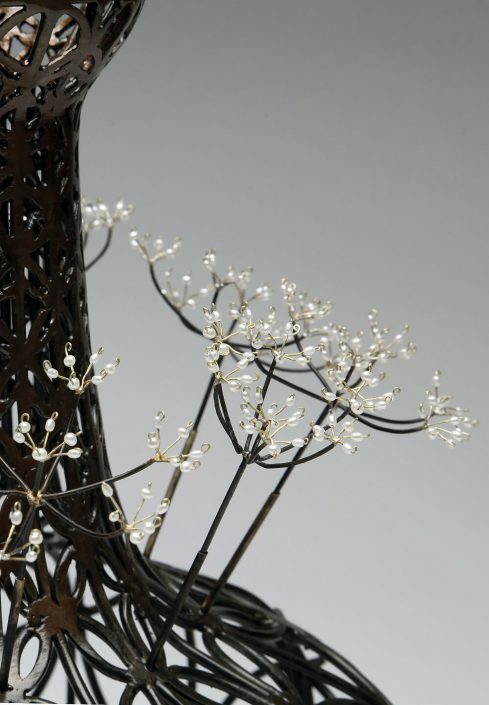 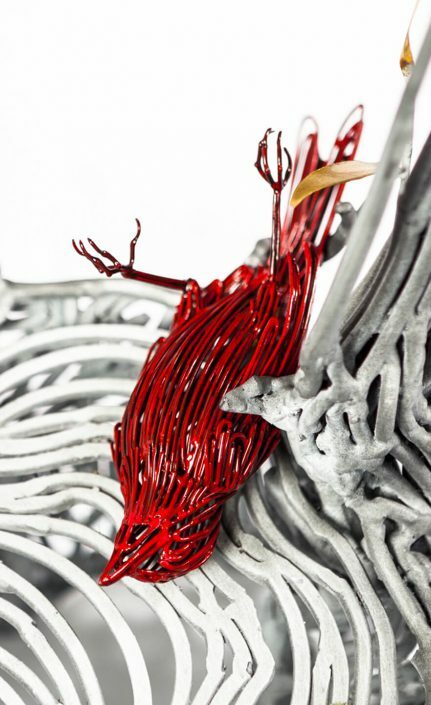 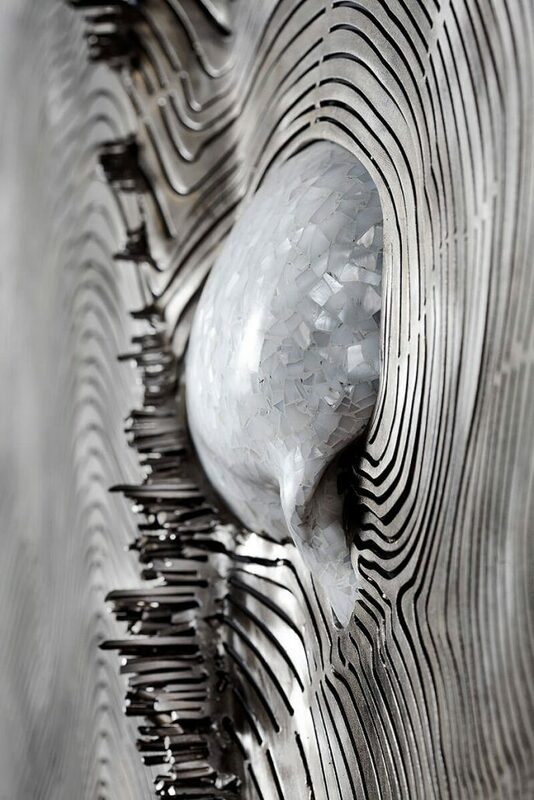 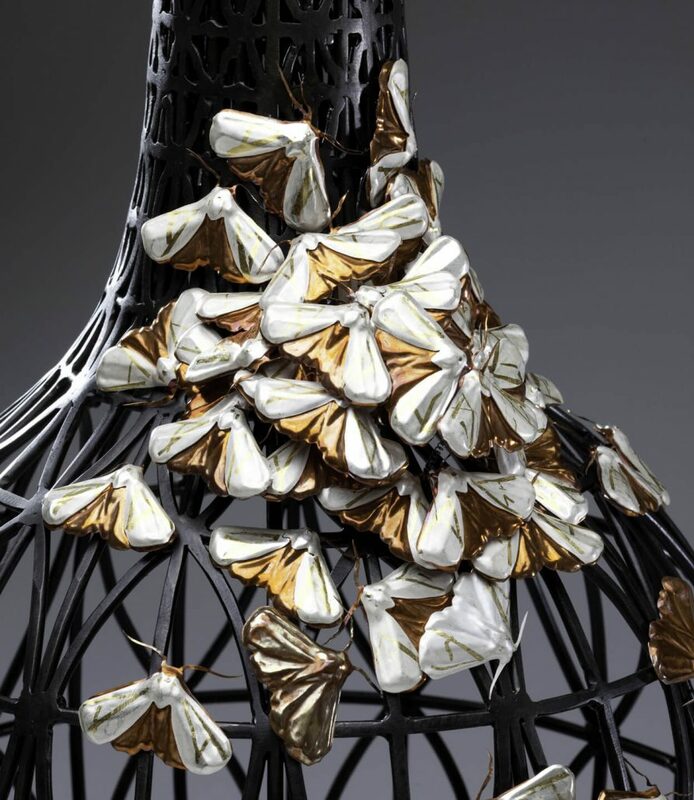 She creates open forms out of steel rods, embellishing them with the unexpected—precious metals, jewels, beeswax and horse hair. 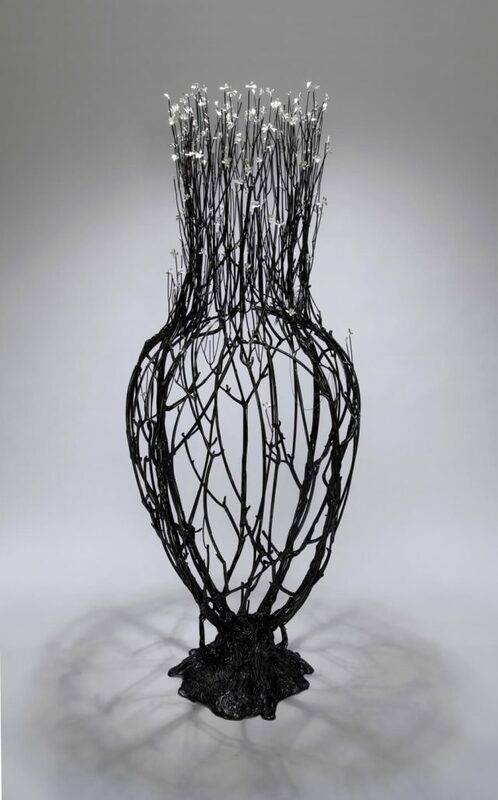 Her practice is an argument that materials matter, that the ideal of beauty in nature and craft are important, and that there is a whole world of emotions that underlies the formal evolution of design. 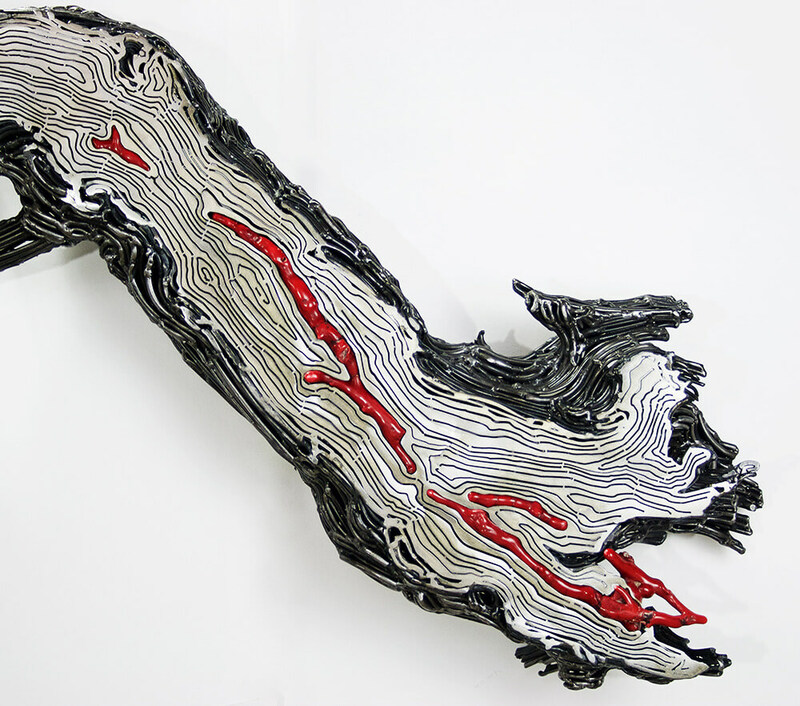 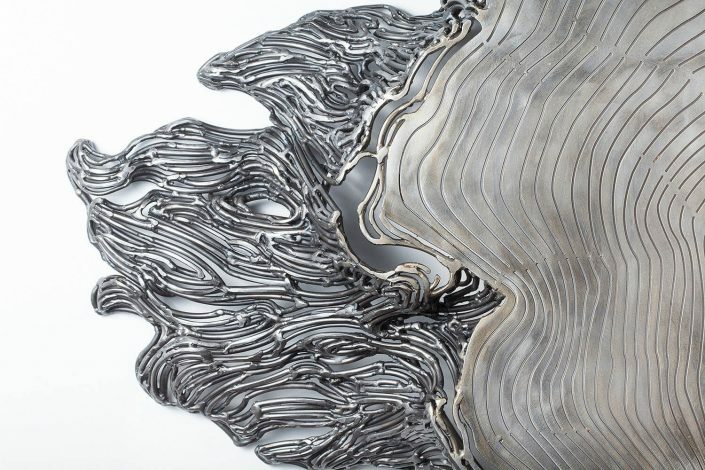 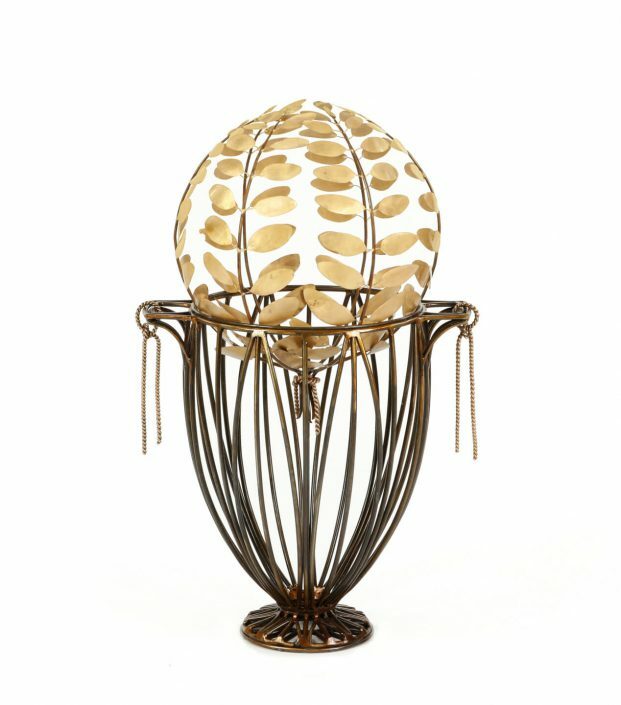 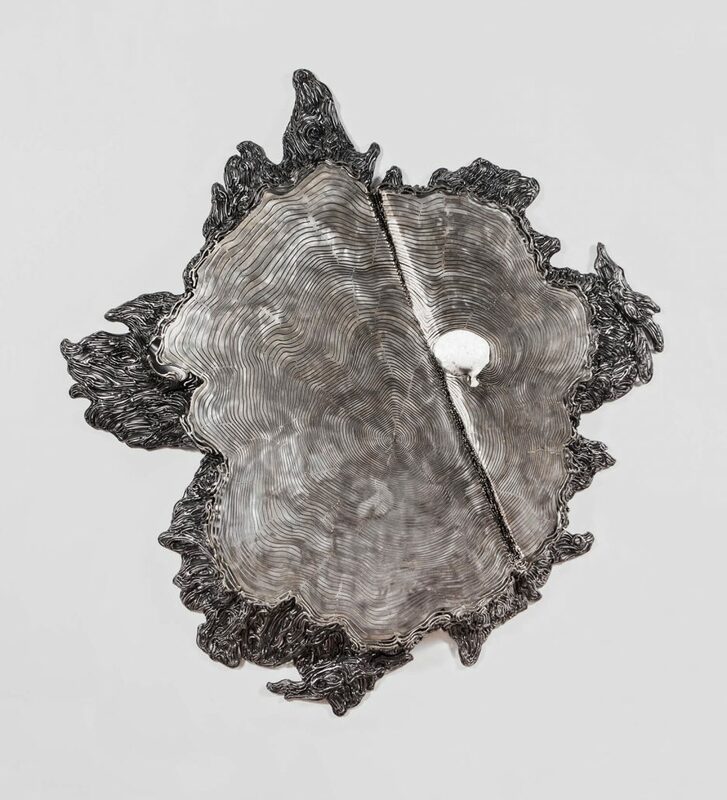 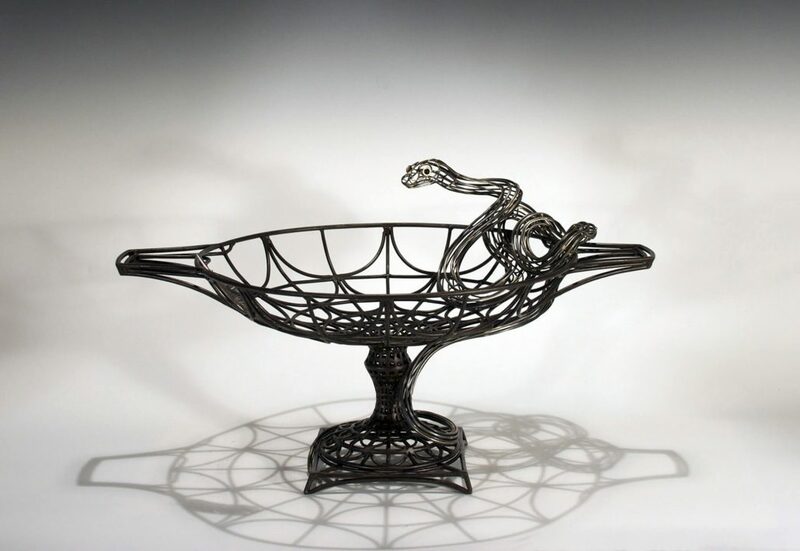 Cridler received her BFA in metalsmithing from the University of Michigan School of Art and her MFA from SUNY New Paltz. She also studied at the Skowhegan School of Painting and Sculpture.